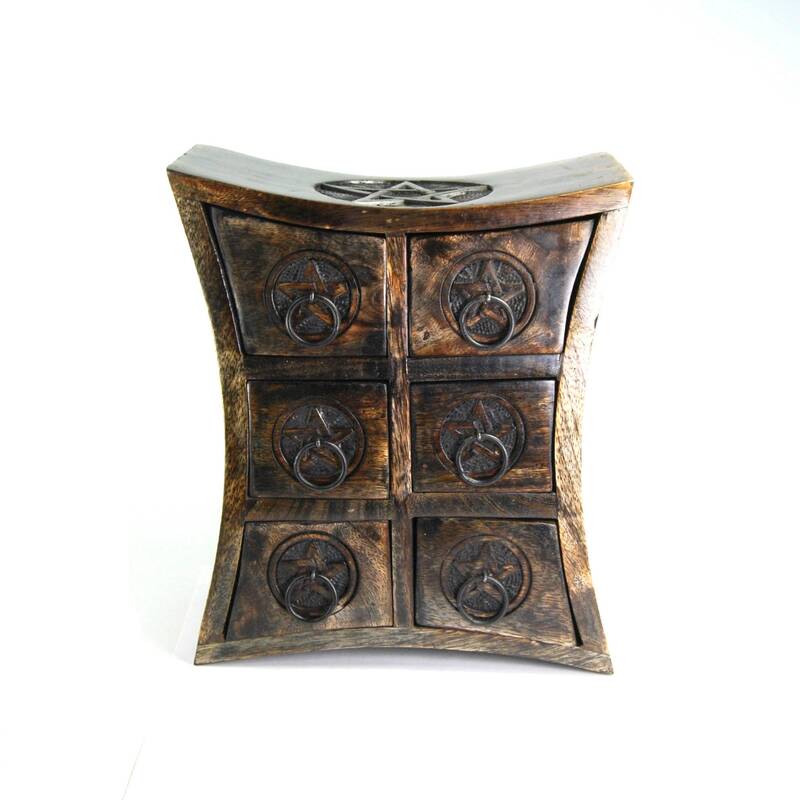 For your consideration is this beautiful hand carved table cabinet. 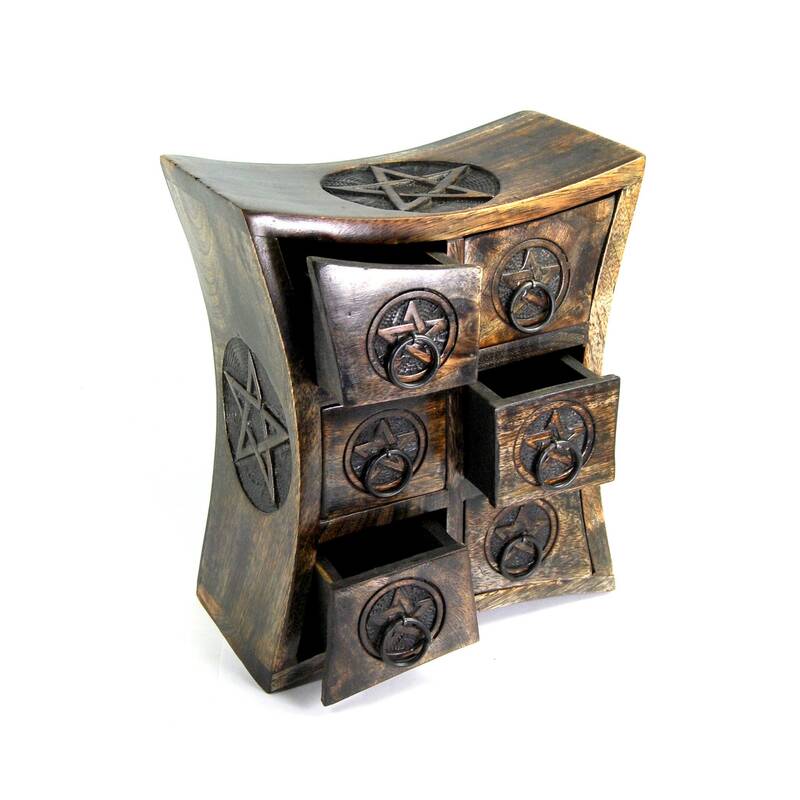 It is perfect for storing your herbs, incenses, and curios. 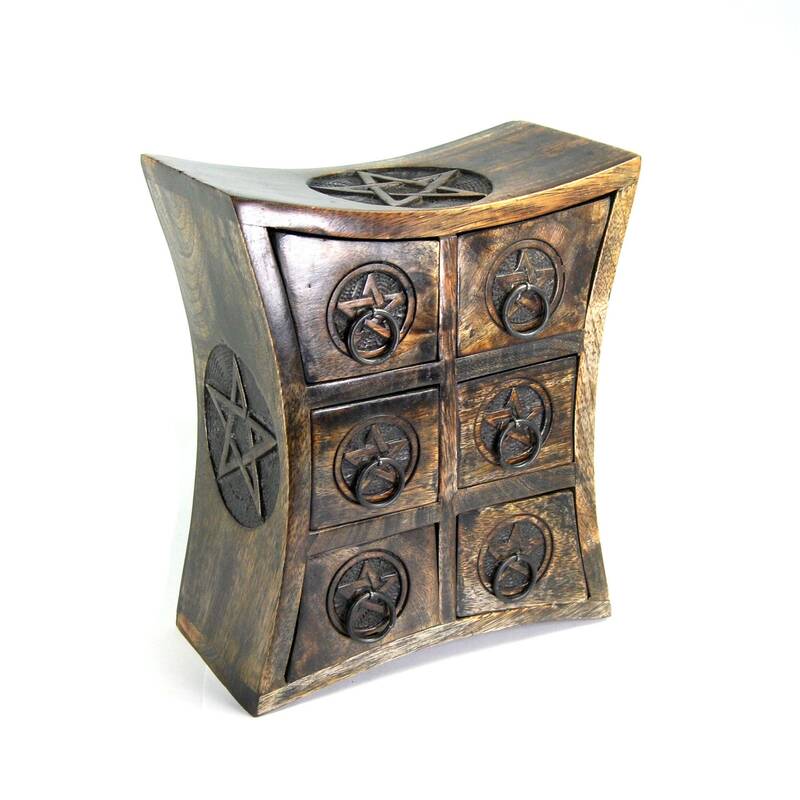 It would also make a lovely jewelry box. 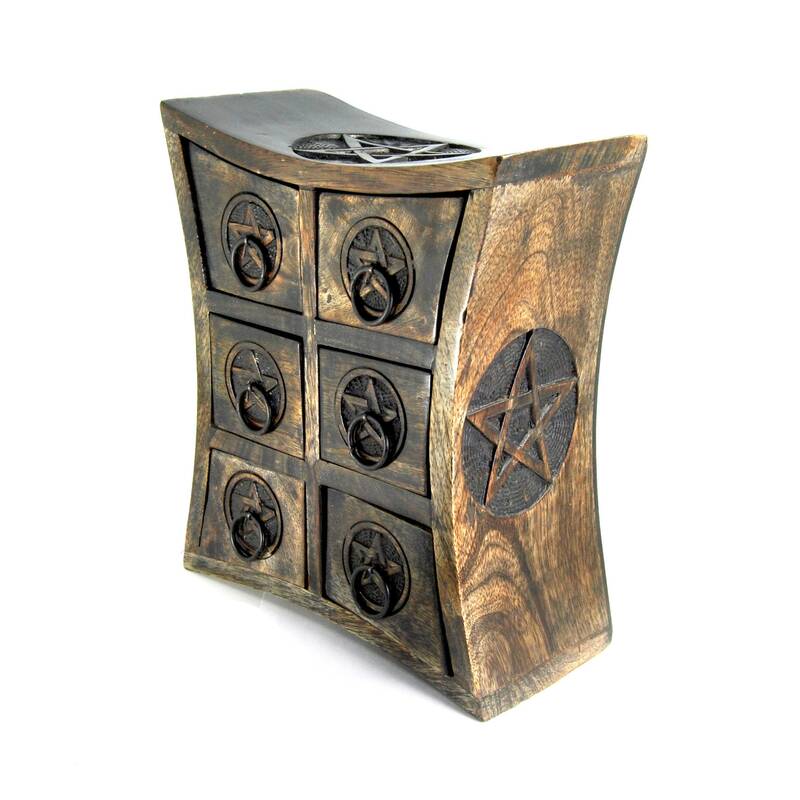 The front sides and lid are carved with pentagrams. It has 6 drawers. 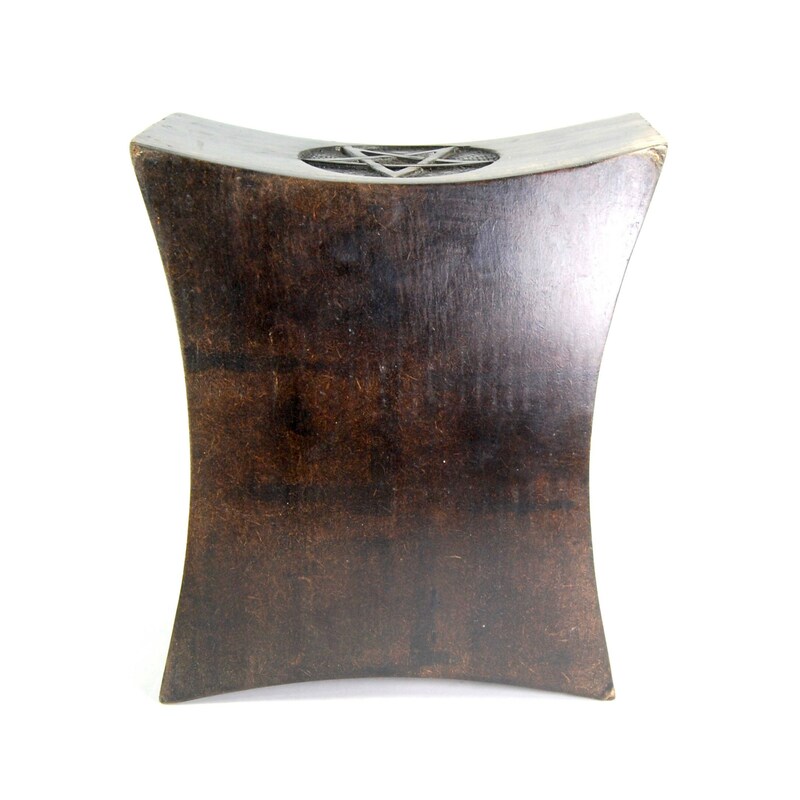 It measures 9.5 inches tall, 8 inches wide, and is 4 inches deep.